Whether you are going out of town for one night or several weeks we can give your four legged family member a home away from home at our pet boarding facility! 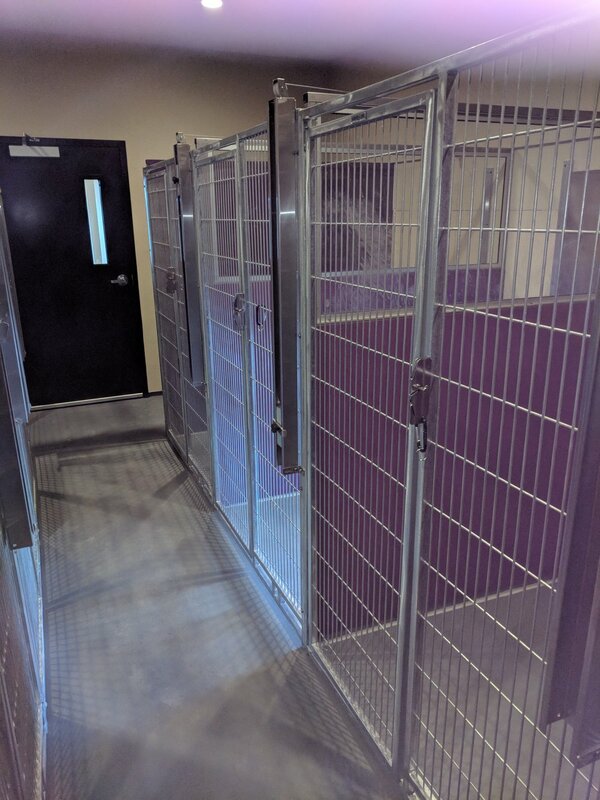 We offer cost effective overnight boarding kennel accommodations with indoor and outdoor dog runs and a cat condo to fit all of your pet’s needs! Whether you are going out of town for one night or several weeks we can give your four legged family member a home away from home! We offer overnight boarding accommodations to fit all of your pet’s needs! We can accommodate one or two dogs in one kennel as long as they live well together and the size of the dogs allow enough space to be comfortable. 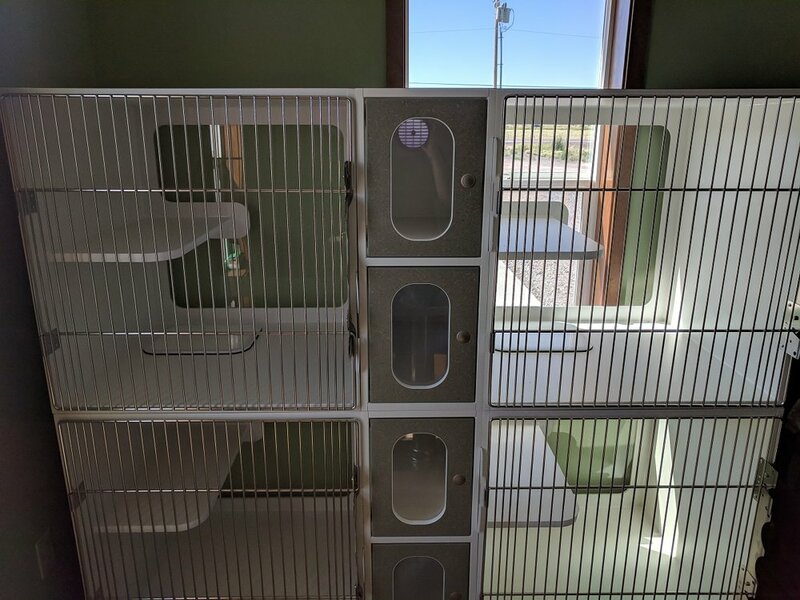 Our cat condo can accommodate one cat per individual condo with the option of conjoining two condos if both cats live well together. We offer rates by the night and also daily rates for pets dropped off for a short visit during our normal business hours. Rates are listed below. 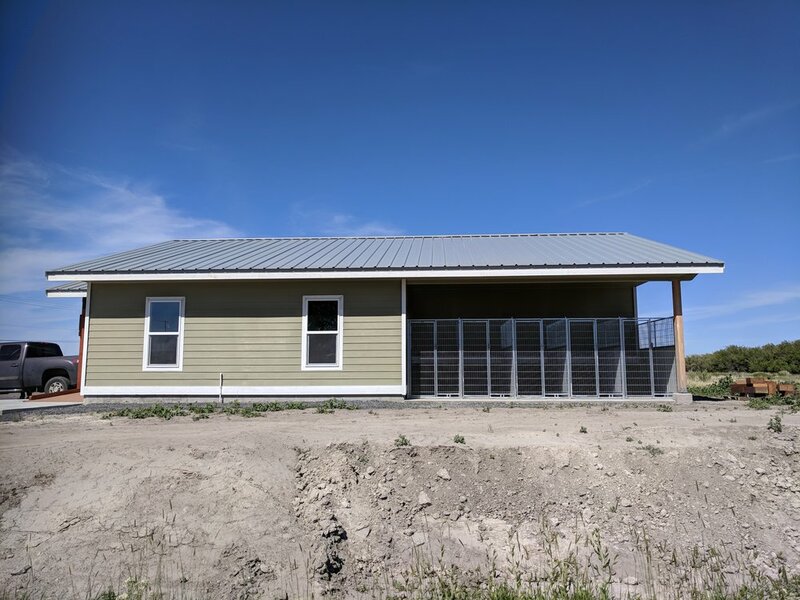 In our dog boarding side of the facility we have nine kennels available for use and in our cat facility we offer four condos for your feline family members. Our next project will be to build a fenced in outdoor exercise area for outside playtime with the Sage Country Veterinary staff. We also encourage you to stop by and tour our facilities at anytime to see what we have to offer you and your family!